"Small is beautiful" is a phrase that Emerald Waterways uses to describe Portugal in its onboard enrichment materials, but it could easily be applied to Emerald Radiance, the line's first ship on the Douro River. 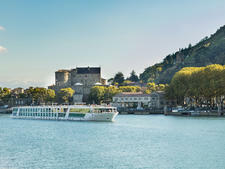 Radiance is the smallest ship in the Emerald fleet, purpose-built to navigate the numerous and narrow locks of the Douro River. 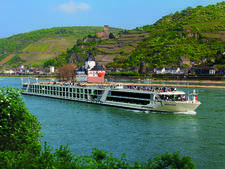 Its size does present some limitations -- unlike the line's Star-Ships, there are no bicycles onboard and the ship's small pool does not convert to a theater -- as well as some challenges; passenger flow is quickly congested before tours and at mealtimes. However, an intimate environment suits the Douro, which is a more personable river than the heavily traversed Rhine or Danube. A crew-to-passenger ratio of one to three ensures that cruisers benefit from individual attention, and that attention is provided by an entirely Portuguese crew. Due to Portuguese law, staff onboard the ships that sail the Douro River are required to be citizens of Portugal, but this law is less a limitation than a natural fit. A local staff -- many were from the embarkation port of Porto -- means that the authentic experience is unbroken from ports of call to life onboard. Questions about Portugal are easily answered, and practicing your Portuguese is encouraged. There is a palpable sense of pride that shines through the service, the activities offered -- traditional crafts and cooking demos -- and best of all, the cuisine. Familiar tastes are expertly balanced with Portuguese specialties, offering a new variety each day for predictable or adventurous palates. As Radiance is the newcomer to the Douro, ship staff are still eagerly working to set their own quality standards, and the cruise line has experimented with a few aspects of the vessel and operations. In this regard, some changes work well -- the Riverview Suites, a new category of cabins for Emerald Waterways, are a gorgeous offering for top-tier spenders. The ability to employ a screen over an open window is also a welcome innovation to Emerald's inside balconies. But other additions, like new disembarkation cards that are separate from the room key, weren't fully developed. While it's a good idea and the stations where you scan your card to indicate you are on or off the ship were sleek, many passengers struggled with the technology, which created bottlenecks before and after tours. For such a Portugal-intensive vessel, the only distinguishing art onboard is a wall of Barcelos roosters, colorful ceramic roosters traditional to the region, on Deck 2. Otherwise, the aesthetic is rather "modern hotel lobby," with lots of black, white and mirrors. (In fact, so many columns and flourishes around the ship are reflective, that passengers are given a word of warning on day one, and more than a few bumped into them.) Each cabin comes with two full-length mirrors. But placed high above the interior design of Radiance is what lies on all sides: The Douro is a spectacularly scenic backdrop for sailing, and there is little to distract from the lush, terraced hillsides that seem to stretch from riverbank to the sky. The highlight of a Douro River sailing is being able to sit back with a glass of the region's famous wine and watch the valley rise and fall around you. Emerald Radiance keeps Portugal the focus, to mutually satisfying returns. 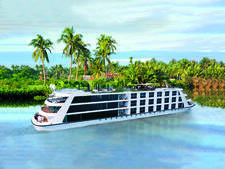 An Australian company, Emerald Waterways caters mostly to the British market and as a result, about 80 percent of passengers onboard are British. A mix of Americans, Canadians and Australians make up most of the rest. 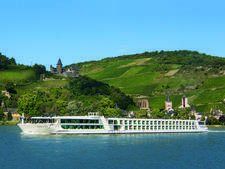 Passengers onboard Radiance lean toward older couples that have cruised the Danube or Rhine and are looking for a new river experience. A small handful of couples in their 30s and 40s were onboard, as well as a family with older teens, but it is rare to find children on this ship. 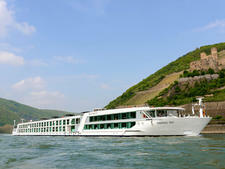 We found that most passengers booked on the weeklong sailing also took advantage of the post-cruise extension to Lisbon. There is no formal dress code on Emerald Radiance; casual and comfortable will get you far. A captain's welcome reception is held on the second night of the sailing, and some choose to spruce up for the occasion; same with a farewell gala dinner on the next-to-last night. Generally, sturdy walking shoes for uneven cobblestone streets and a layer or two will get you through the warmer days into the cooler nights. 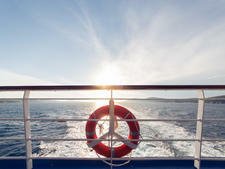 Gratuities are included in your cruise fare, as well as transfers to and from the airport. The onboard currency is the euro, and outlets are European. Local red and white wine as well as beer and soft drinks are available free of charge at lunch and dinner. (A selection of drink packages is available to cover a beverage from the bar any time of day: for 9.90 euros per person, per day wine, beer and soft drinks are available at any time and for 19.90 euros per person, per day, you can have access to the entire bar menu. Beer and Champagne packages are also available.) An espresso machine is located in the lounge and serves coffee, espresso drinks and hot water for tea 24 hours a day -- small cookies are located in a jar on the counter to complement your latte. A pitcher of water and a pitcher of the daily iced tea are always located on the counter of the bar in the Horizon Lounge. Large glass bottles of water are available for consumption in your cabin, and bottles of water are handed out before every excursion. One shore excursion is included in every port, and consists of a walking tour or a museum tour. 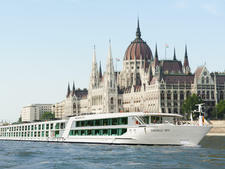 EmeraldACTIVE tours are not available onboard Radiance. 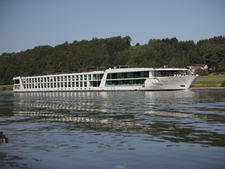 There is free Wi-Fi onboard, and it works relatively well with the exception of passing through locks. We were able to connect multiple devices to the network without a problem.